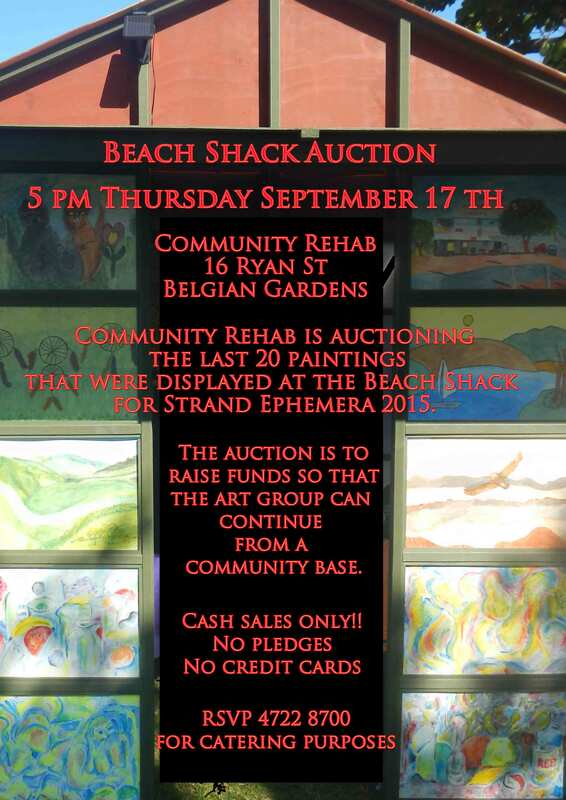 Twenty of the paintings from the Beach Shack in Strand Ephemera 2015 are to be auctioned on September 17th at 5 pm at Community Rehab NQ. These were all painted for the shack by some of our lovely artists. The auction is to raise funds so that the art group can continue from a community base.